Barba Dermatology is easily accessible to serve Morningside, Belle Meade, Bay Point, Brickell, Coral Gables, Greater Miami and the Miami beaches. We are conveniently located at 4770 Biscayne Boulevard, near the Miami Design District and right off of the 95 expressway and 195 Julia Tuttle Bridge. Take 95 North to 195 East going towards Miami Beach. Get off on Biscayne Boulevard and make a right on Biscayne. Go north a few blocks and make a U-turn in front of CVS. We are located next to CVS/Publix. Take 95 South to 195 east going towards Miami Beach. Get off on Biscayne Boulevard and make a right on Biscayne. Go north a few blocks and make a U-turn in front of CVS. We are located next to CVS/Publix. Take Biscayne Boulevard to 47th street. 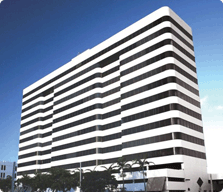 We are on the west side of Biscayne Boulevard. Parking is available on the second and third floor of the building (look for parking marked Barba Dermatology). The fee is $2 for the first hour, and $1 for each additional hour. To obtain more information about our services or if you have any questions or comments, please complete the form below.